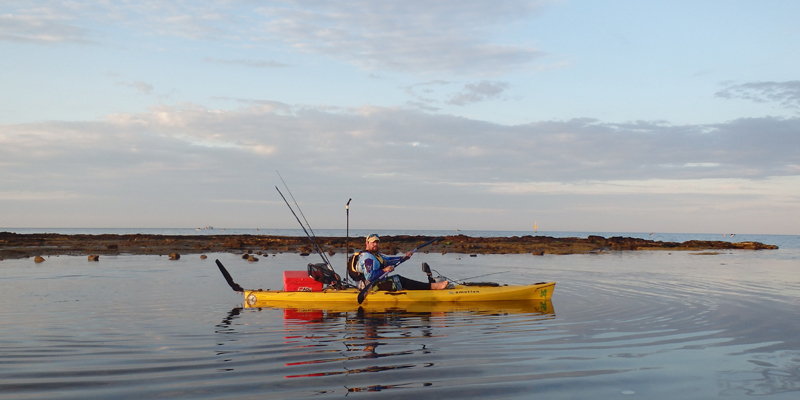 Earlier this month a young man tested his new kayak in what appeared to be calm conditions off Altona. He had not paddled previously, but had been out on a mate's boat fishing once before and knew to wear a lifejacket. The wind was 10-15 knots from the West, but he only noticed that no-one else was on the water after he had launched. He launched next to Altona Pier and was capsized by a wave around 50m offshore. He managed to get back on the kayak a number of times but fell out each time. Eventually he hung on to the side of the kayak, while the lower half of his body was submerged. 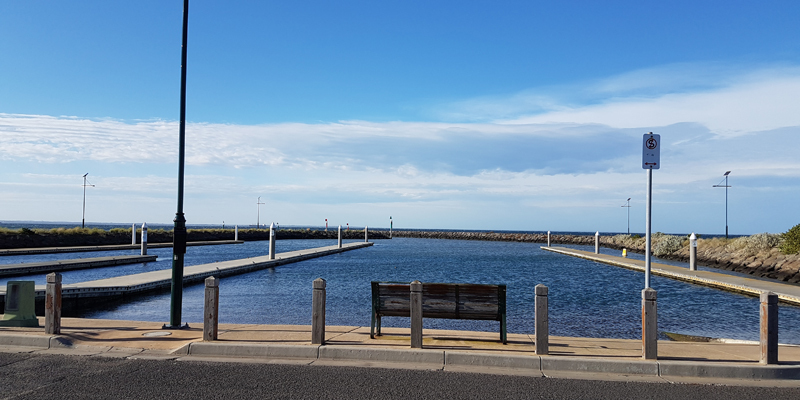 After four hours in the water hanging on to his kayak - a beach goer heard his yells for help near Williamstown and summoned two people who were launching to go fishing. At this stage another passing vessel came to his assistance as well as a police vessel. By the time the paddler was taken to shore, he could not feel his legs and was fortunate not to suffer hypothermia. An ambulance assessed him in the carpark to ensure that he did not need further medical assistance. Image: The water may look calm when you launch, but can be much choppier further out. This series of events highlights how important preparation is. The lifejacket likely saved the man's life, however there are several steps paddlers can take to avoid danger. 3) Carry a means of raising the alarm or calling for help - for example a mobile phone in a waterproof pouch, marine radio, personal locator beacon or distress flares. 7) Get some tuition on paddling techniques and practise getting back on board in all sorts of conditions. Following several recent incidents of abandoned kayaks sparking false alarms, we are also advising paddlers to mark their kayak with a phone number or driver's licence number. Quickly being able to find out your details and if you are in need of help will better inform emergency services about whether to launch a rescue operation. Heading out on the water by yourself can be dangerous. Read our Safety Alert: Solo paddling risks.